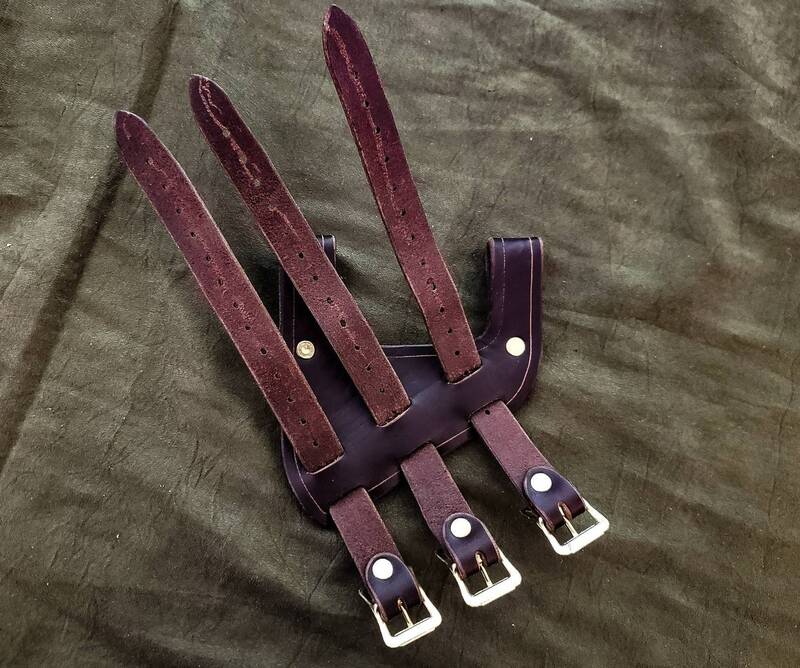 This is A handmade leather frog for hanging your sword/scabbard from your belt. 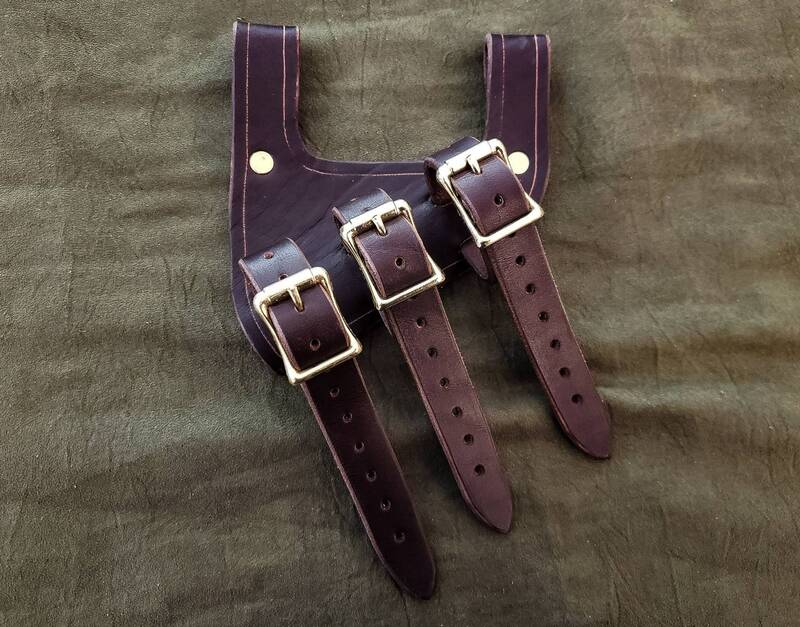 Each frog has 2 belt loops that will accept up to a 2" belt (contact me if you would like larger or smaller loops." 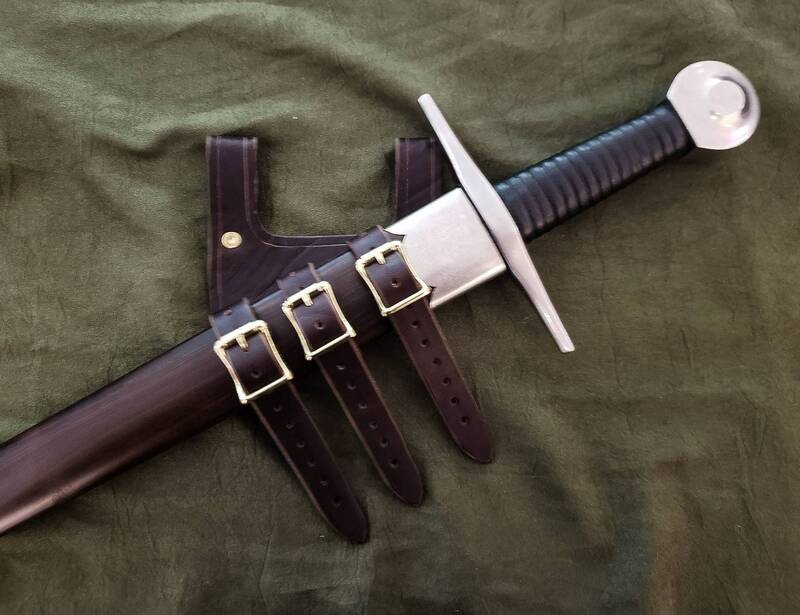 The frog holds the sword/scabbard at an angle as a standard, if you'd like a vertical frog, or different angle, please contact me. 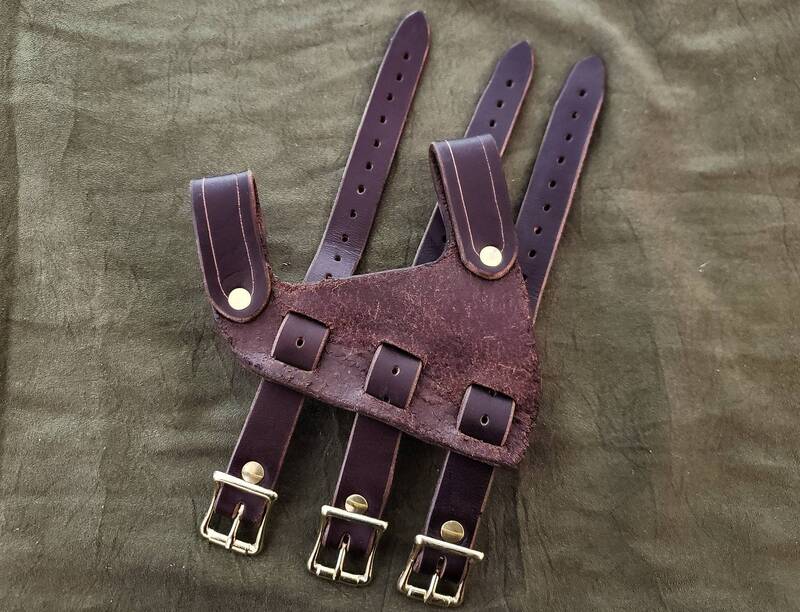 *This listing is for the frog only, no belt is included with your purchase. Allen was very helpful and answered all my questions quickly. 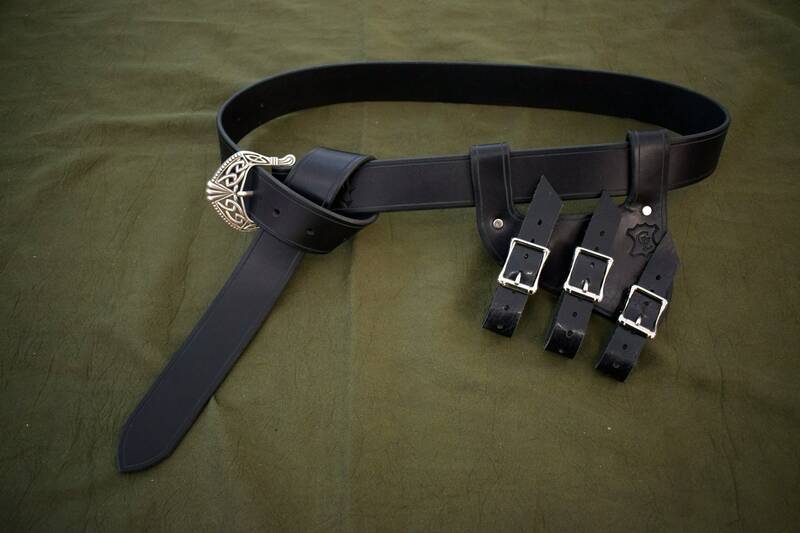 The sword belt and frog that I got went together perfectly, fit correctly even though I might have been a little sketchy about my measurements and are excellent quality. Will always recommend to friends and will definitely use this shop again.